With all their customer data in one place, the brand encourages customers to ask away! Kustomer is a platform that offers so much more than just a ticketing system—it’s optimizing our entire customer experience workflow at Away. There are so many ways you can use Kustomer to leverage customer insights and make more informed decisions. Away is a global brand that designs thoughtful products to make traveling more seamless. 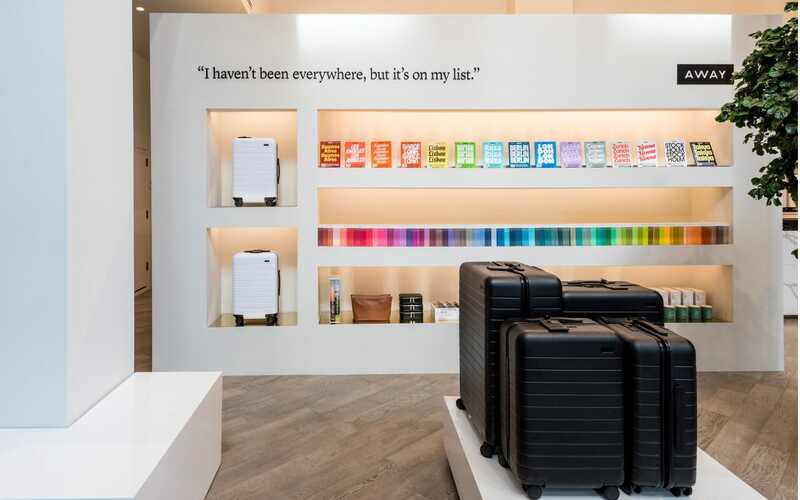 In February of 2016, co-founders Jen Rubio and Steph Korey were looking to enhance the entire travel experience, starting with the perfect suitcase. With 500,000 suitcases sold to date, they are hard to miss in train stations, overhead bins and airports across the globe. One of Away’s core values is that they are customer-obsessed. Everything they do as a brand and as a team is guided by feedback from their community. “We’re always asking ourselves, ‘How can we make this better for our customers?’ and our team is excited to come up with creative solutions to any travel pain points,” says Jayne Flynn, Away’s Data & Analytics Manager. Jayne works closely with the CX team to optimize workflows, help them be as responsive to the community as they can, as well as, uncover insights and data that might help determine what they should do next. Before moving to Kustomer, Away team members were constantly switching between tabs and systems for the information they needed. Now, all information the team needs is in the customer timeline, which allows them to expedite their ability to answer questions from customers and deliver best-in-class customer experience. Kustomer gives us a more holistic view of who our customers are when we’re interacting with them. Our CX team can see their order history and any previous interactions they’ve had with our brand and our team, which gives us more context about what our customers needs are and how we can help them. Additionally, having order information nested on the timeline in the Kustomer platform allows us to be more informed and personalized in our approach, and to streamline the entire conversation we have with customers. The Away team takes full advantage of one platform feature in particular — search. With search, teams can create groupings of customers to manage using precise search criteria including transactions, events or conversations, enabling you to respond to customers more efficiently. Every company uses search in a way that works best for them, and Away was no different. The search feature empowers our team to work more efficiently when tackling the inbox each day because we’re able to optimize to our team member’s strengths. We have a team that manages returns and exchanges, another that answers questions about our products or our brand, a team that responds to shipping questions, and more. With searches you can create really specified workflows that allow for major efficiency gains, ultimately empowering our team to serve our customers as exceptionally as possible.